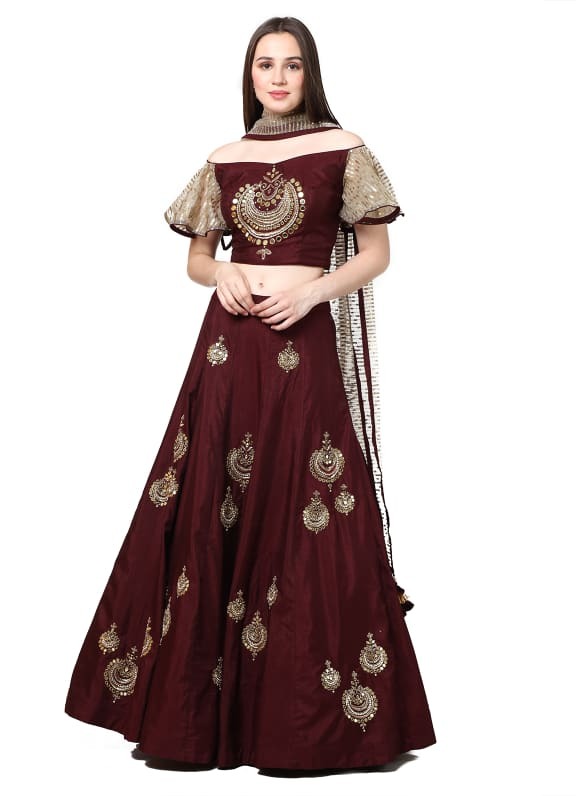 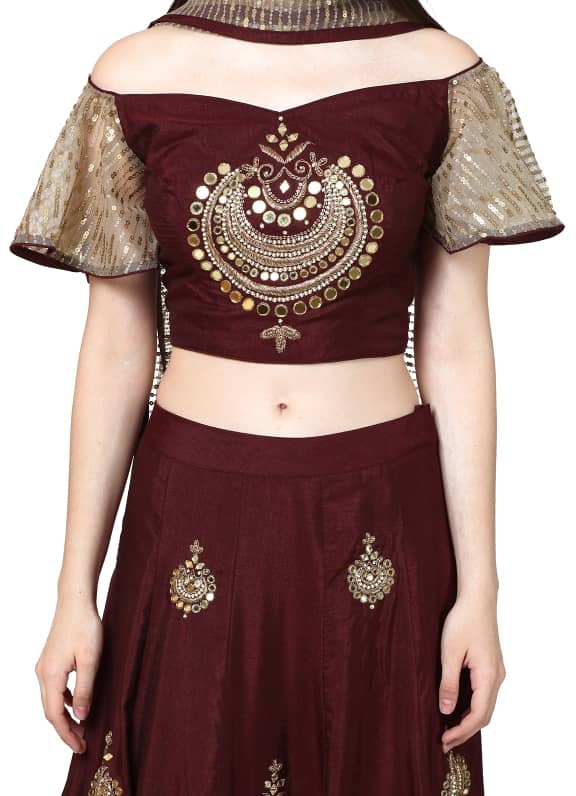 This set features a maroon blouse with gold embroidery and frill sleeves. 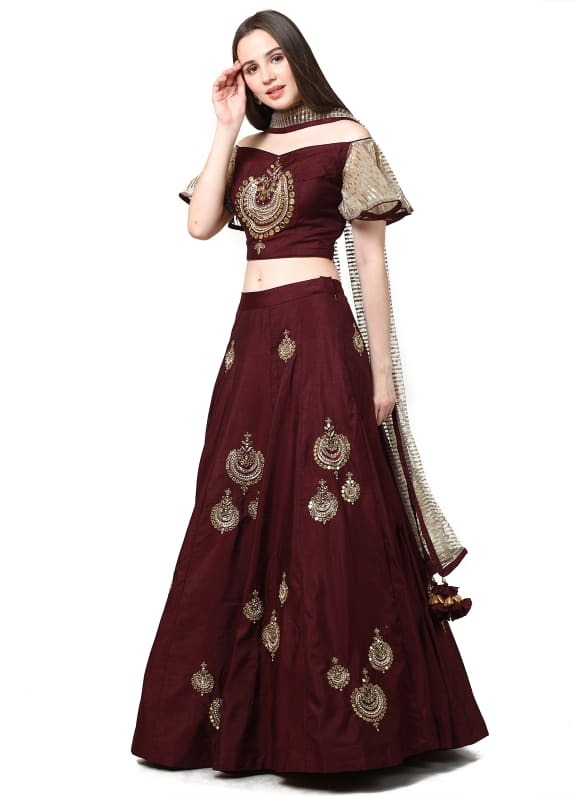 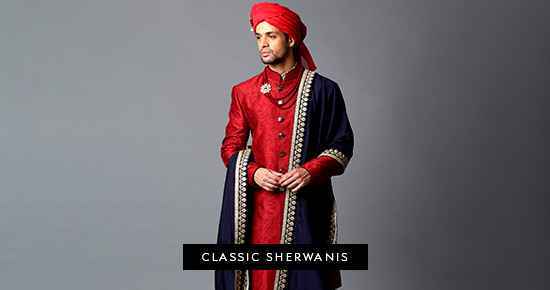 It is paired with a matching lehenga and dupatta. 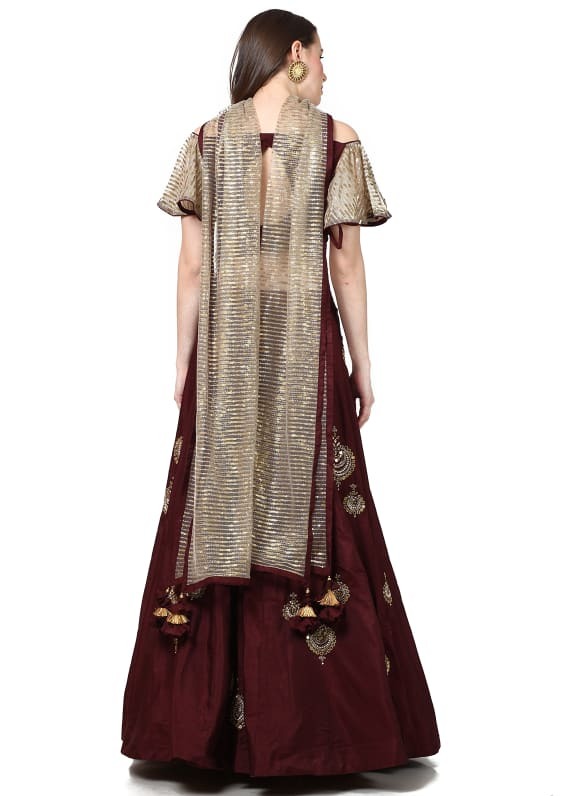 Whimsical and graceful, wear this ensemble for a reception or sangeet night and style your look with a pair of Amethyst earrings.